RUSH Construction Strengthens Safety Program; Takes Home Awards from United Safety Council and ABC – RUSH, Inc.
Safety as a corporate core value takes front and center already in 2017. RUSH Construction, Inc. has made it clear that the firm strongly values safety and quality on the job site, considering employee safety and client satisfaction are paramount to a project’s success. Already this year, RUSH has been honored with awards from both the United Safety Council and Associated Builders & Contractors, Inc. (ABC), for outstanding achievements in safety. Employee-owned general contracting firm, RUSH Construction is proud to have achieved ABC’s STEP Platinum level for 2016. Established in 1989, the Safety Training Evaluation Process (STEP) serves as a benchmarking and improvement tool for achieving world-class safety performance in construction. Members measure their safety processes and policies on the 20 Key Components through a detailed questionnaire and learn to implement or enhance safety programs. 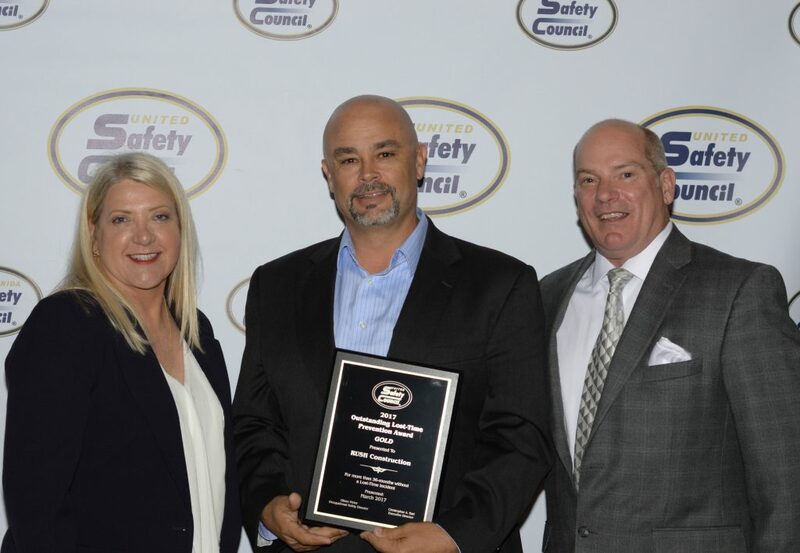 On March 10th, RUSH Construction was also recognized by the United Safety Council at their Annual Safety Awards Banquet, the largest event of its kind in the nation. RUSH was honored to receive the Outstanding Lost-Time Prevention award, for achieving more than 36 months without a Lost-Time Incident. They were also awarded the Corporate Safety Certificate of Recognition. Safety is a core value at RUSH Construction. These latest awards are affirmation that our safety program is an effective means for keeping employees safe and healthy on the job. RUSH will continue to work towards improving and strengthening an already robust safety program, demonstrating that the company is not backing down from their stance of continual improvement and maximum safety on the job site.